NIO is a global start-up founded only 3 years ago in 2014 in Shanghai,China. They design and develop high-performance, premium electric, autonomous vehicles. Already they are making a name for themselves in the electric automotive world by breaking the autonomous lap record at Circuit of the Americas on February 23rd and the overall lap record at Nurburgring Nordschleife lap record in Germany on May 12th. The track only, electric beast they used to demolish records with is the joint project of NIO and the NextEV Formula E team, the NIO EP9. The car is powered by four electric motors each delivering 335.25 hp (250 kW; 340 PS) for a total of 1,341 hp (1,000 kW; 1,360 PS), and all four are driven by four independent transmissions, making the car all-wheel drive. NIO has already set a total of 5 records in their track-only EP9 for the fastest lap for an electric-powered car in a very short amount of time. The EP9 was built in 18 months, and debuted at the Saatchi Gallery in London, England.Six EP9s have been sold to NIO investors for US$1.2 million each. 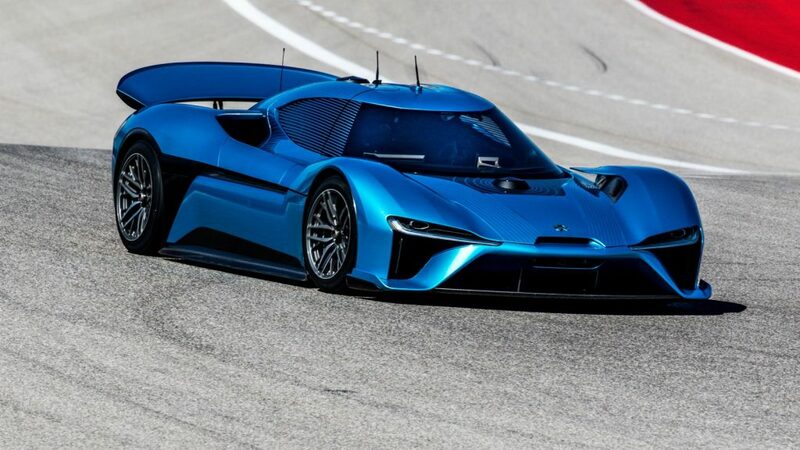 NIO has announced that ten additional EP9s will be sold to the general public. NIO EP9 breaks the Nurburgring record of 7:05.120s for a production electric vehicle on October 14th, 2016. NIO EP9 later breaks the Nurburgring Nordschleife overall lap record. 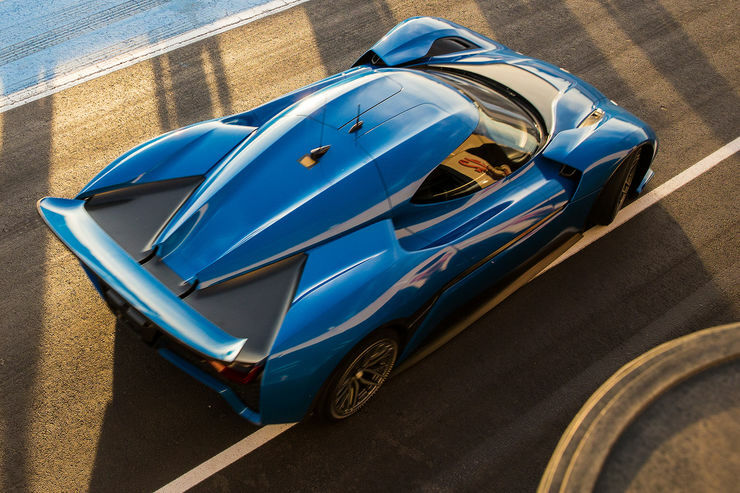 On May 12, 2017, the NIO EP9 set a new lap record at the Nürburgring Nordschleife, achieving a lap time of 6m 45.900s. Each of the EP9’s wheels has its own motor and transmission. The EP9 has an advanced torque vectoring system that can adjust the power output to each wheel. The EP9’s battery can last up to 265 mi (426 km) before it needs to be charged. Recharging takes 45 minutes, and battery replacement takes 8 minutes. The EP9 is equipped with an active suspension, including a ride height controller that makes 200 calculations per second. The car’s chassis construction is all carbon fiber, and is based on the FIA Le Mans Prototype regulations. The exterior is also made of carbon fiber. The vehicle’s batteries weigh 635 kilograms. All of the carbon fiber in the car, in total, weigh at 364 kilograms. The total weight of the car is 1,735 kilograms (3,825 lb). The EP9 can accelerate from 0-60 mph in 2.7 seconds, 0-124 mph in 7.1 seconds, and 0-186 mph in 15.9 seconds. Its top speed is 194 mph (313 km/h). The EP9 has the third-quickest 0-60 mph time of any electric vehicle, behind Tesla’s Model S P90D and P100D models when launched with Ludicrous mode. NIO currently lists the EP9 and NIO ES8 as their production vehicles. The NIO ES8 is an all-new SUV by NIO that is planned to be put into production in 2018 for the China Market. Their concept vehicle is the The NIO EVE, an autonomous car that was unveiled in 2017, in a working form. The car is intended to give drivers a comfortable, entertaining, and connected experience whilst on the move.